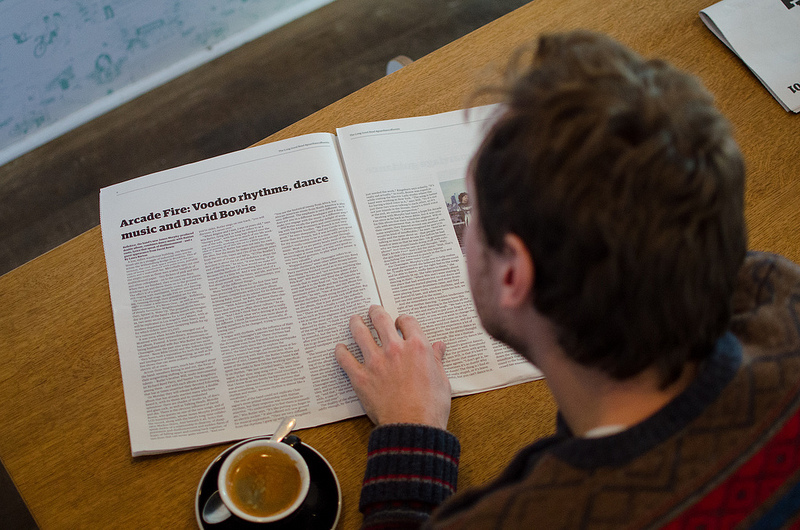 The Long Good Read uses APIs and short print runs for their weekly. The Long Good Read uses “Editors, readers and robots” to publish a printed weekly newspaper specifically for customers at the Guardian’s cafe. As we’re very much relying on algorithms to create this paper, to pick the stories and then again to lay them out, we’ve started to think of this as a newspaper built from data, and as an evolving experiment. Then if we can do it, then its not a very far stretch to allowing anyone to do it. And once the system has learnt what you’re interested in then next step is to just let it carry on for you, with the results arriving on your doorstep to read each week.